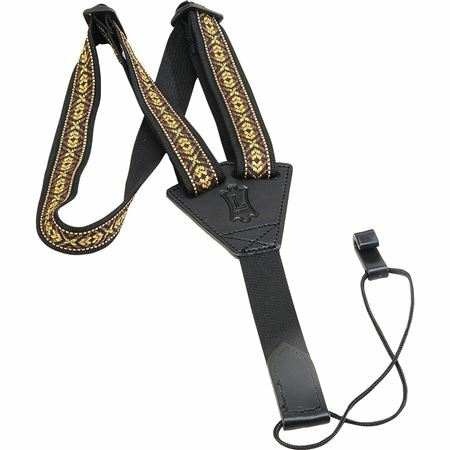 Order your Levy's M20JN Nylon 1" Classical/Ukulele Strap from AMS and enjoy Fast & Free Shipping. Get the Best Deal with our Lowest Price Guarantee & Great Customer Service! The M20JN strap by Levy strap is designed to be comfortable, durable, and fashionable, because it's not just something to hold up your guitar; it's something you wear. By continually developing new designs and improving existing ones, Levy's offers the highest quality and broadest variety of guitar straps on the market. 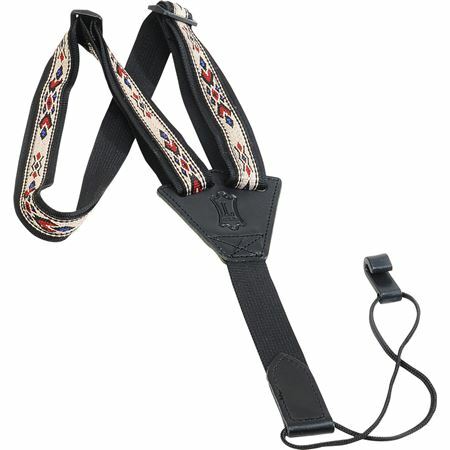 From simple to elaborate, from classy to crazy, from lightweight to heavy-duty, there's a Levy's strap for every player. The Levy M20JN is a 1" nylon classical guitar/ukulele strap with jacquard weave, plastic sound-hole hook and tri-glide adjustments. Adjustable to 35".